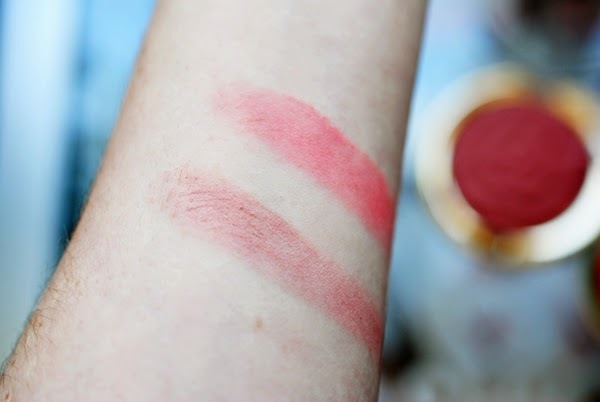 Aside from lipstick, my favorite beauty product definitely has to be blush. I have a huge collection of both high end and drugstore blushes — I just can't get enough! Since I have quite a few of Milani's Baked shimmery blushes, I knew I had to pick up a couple from the brand's newer line of matte Rose Powder blushes to check them out. I snagged Romantic Rose, a neutral every day color (bottom swatch above), and the brighter Coral Cove shade (top swatch above). In the photo above, I'm mostly wearing Romantic Rose with just a pop of Coral Cove for dimension. 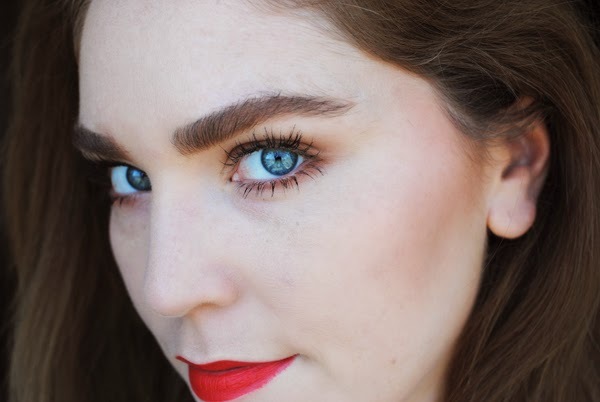 Romantic Rose is especially a great choice because it will match any eye or lip look. 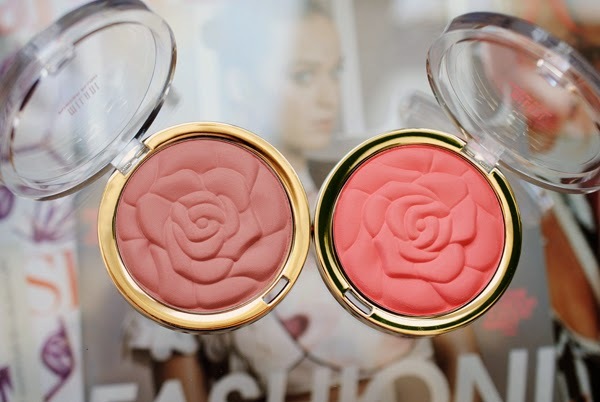 Milani describes their Rose Powder blushes as streak-free, petal soft, natural-finish, and ultra-flattering. Now that's a tall order! I really do think they're all of those things and pretty long-lasting as well. Since these don't have any shimmer, they're a safer bet for aging or textured skin than the Baked blushes. The only catch is that they do contain talc and parabens, but if that's not a concern, go ahead and pick these up, and make sure you take advantage of a CVS Bogo sale!